The loft in Callan’s bungalow provides valuable storage space and is home to various services (such as a broadband router). As such, his old pull-down loft ladder had experienced over 30 years of regular use. After the catch on the trapdoor finally broke, Callan decided it was time to find a new loft ladder. 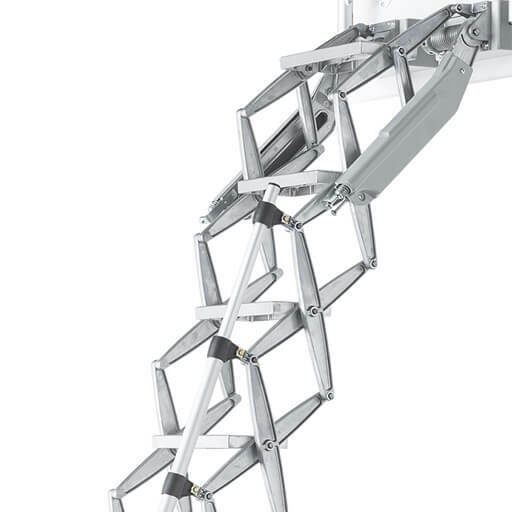 Due to the high frequency of use, the new loft ladder needed to be easy to operate. Also, the ladder itself also needed to be strong and durable. In addition, a particular challenge was the need to find a made-to-measure solution, such that Callan could avoid structural ceiling alterations and re-decoration. This was made harder by the fact that the existing dimensions were 1100mm long by 570mm wide. It rules out an off-the-shelf loft ladder. Also, most wooden loft ladders require an opening length of at least 1200mm. 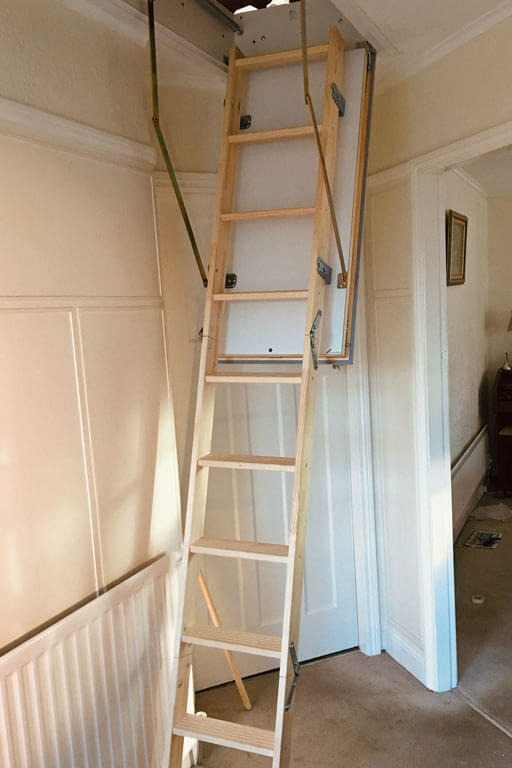 In summary, Callan needed a wooden pull-down loft ladder that fitted an opening of 1100mm by 570mm, was easy to operate, as well as being strong and durable. Callan therefore set about searching the internet to find a suitable new loft ladder. He found three potential suppliers. The first was slow to respond and did not fill Callan with much confidence. The second offered good service, but the construction and material of the loft ladder on offer was not to the standards that Callan was looking for. Fortunately, Premier Loft Ladders were quick to respond with exactly the right product. Quadro wooden pull-down loft ladder for small ceiling opening. Premier Loft Ladders recommended the Quadro loft ladder. The Quadro is a made-to-measure wooden loft ladder, featuring some of the latest innovations in loft ladder design. 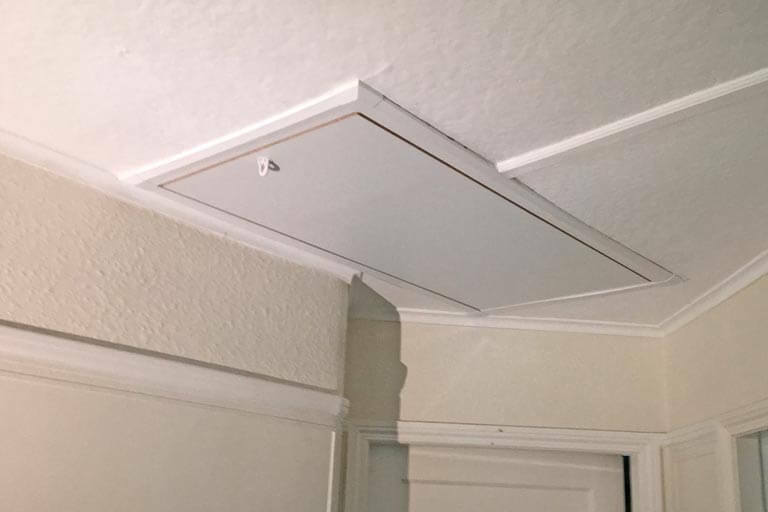 A counter-balance spring mechanism makes opening and closing the hatch very easy. The hatch itself features a multi-point locking system – like that found on modern windows. As a result, the Quadro offers an airtight seal all the way around the hatch box. The ladder itself is constructed from high quality timber components with anti-slip tread profiles. In addition to satisfying all of Callan’s needs, the Quadro hatch box is finished in white and features concealed hinges. It also comes supplied with easy to fit trim/architrave. As such, the Quadro offered a high-quality finish without any need for further decoration once installed. The Quadro provides safe and easy access to the regularly used loft space. As such, Callan is ‘highly delighted’ with his new wooden pull-down loft ladder. The quick response from Premier Loft Ladders, prompt delivery and support throughout gave Callan confidence in both the company and product. 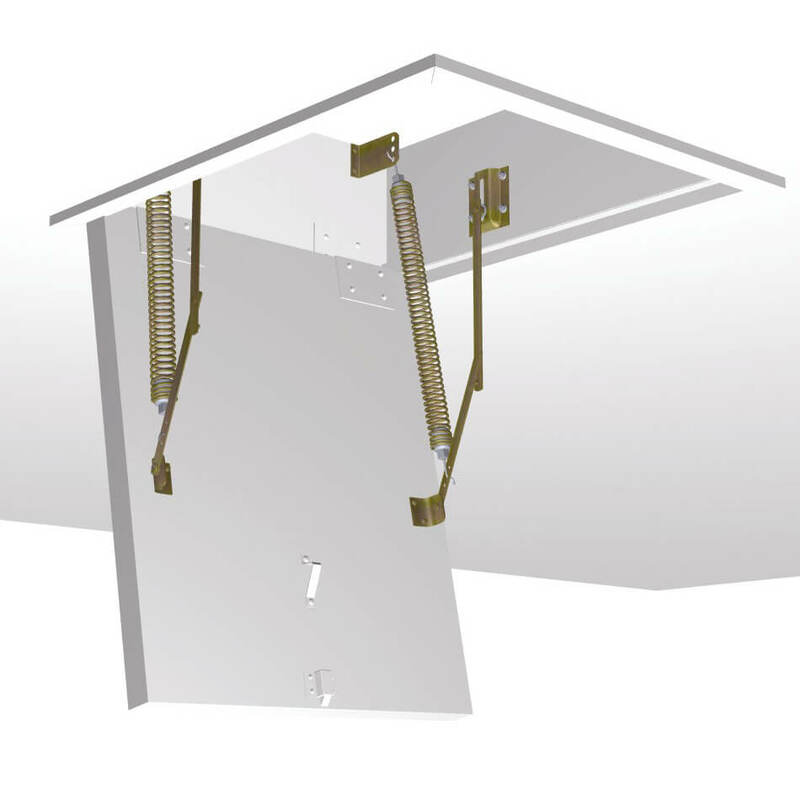 Premier Loft Ladders offer a selection of other loft ladders to meet a range of unique requirements. 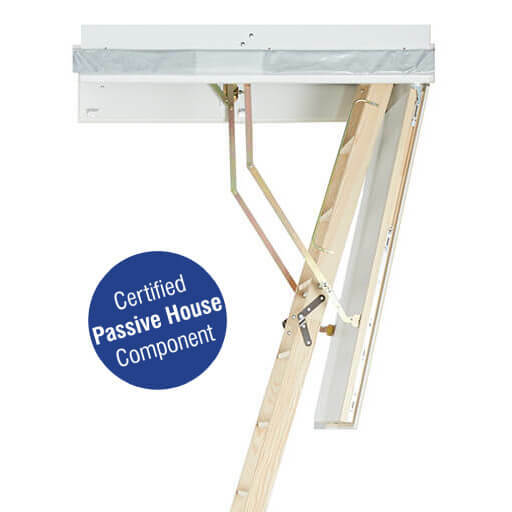 These include the Passivhaus certified Designo Loft Ladder, which offers excellent thermal performance and particularly high strength. In addition, the Quadro is also available as a 2-part sliding pull-down loft ladder.